"Most people will not follow the [advice in this book]. But I hope everyone follows the advice of the daily practice, where you internally get healthy enough to make the decisions about what is right for your life instead of relying on century-old customs and antiquated ideas about ‘property rights’, ‘education’, ‘jobs’, ‘politics’, and so on that have kept people enslaved with ancient philosophical shackles." The world is changing. Markets have crashed. Jobs have disappeared. Industries have been disrupted and are being remade before our eyes. Everything we aspired to for “security,” everything we thought was “safe,” no longer is. College. Employment. Retirement. Government. It’s all crumbling. In every part of society, the middlemen are being pushed out of the picture. No longer is someone coming to hire you, to invest in your company, to sign you, to pick you. It’s on you to make the most important decision in your life: Choose Yourself. 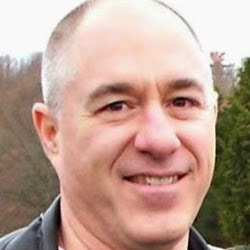 New tools and economic forces have emerged to make it possible for individuals to create art, to make millions of dollars and to change the world without “help.” More and more opportunities are rising out of the ashes of the broken system to generate real inward success (personal happiness and health) and outward success (fulfilling work and wealth). Choose Yourself will teach you to do just that. With dozens of case studies, interviews and examples — including the author, investor and entrepreneur James Altucher’s own heartbreaking and inspiring story — this book illuminates your personal path to building a bright new world out of the wreckage of the old. "That's when it clicked. When everything changed. When I realized that nobody else was going to do it for me. If I was going to thrive, to survive, I had to choose myself. In every way." Have you heard the advice that you really can’t or shouldn’t rely on others? It’s true. The only person you can really rely on is yourself, and sometimes you can’t even do that! Others may help you along the way, but you are the one responsible for yourself. In this life it’s not about luck or wishing. It’s not about reading it in a book or just buying another course. You see, I have had the tendency to buy something because I wanted what it promised. What I’ve had to learn is that just buying something does not give me the benefit it promises. You and I have to put into practice what the book or course teaches to realize the benefits. So, it’s really about making good decisions, displaying a personal effort, and taking the necessary actions. "Probably the most productive schedule is to wake up early – do your work before people start showing up at your doorstep, on your phone, or in your inbox, etc., and leave off at the point right when you're most excited to continue. Then you know it will be easy to start off the next day." Personally, I have never been a morning person, and I’ve used that as an excuse quite a bit over my lifetime. There have, however, been periods in my life when I did get up early. During some of those times I’ve even enlisted the help of others who agreed to share a phone call with me first thing in the morning to make sure I was up and going. My day is usually so much more productive when I get up early and start getting the important things done. Imagine what it would feel like to be halfway through the day and have your most important things already done. Trust me, it really is a great feeling. Are you an early riser? Do you get the most out of each morning? If not, enlist someone today to help you get an early start tomorrow. Are You Seeking Constant Improvement? "Success comes from continually expanding your frontiers in every direction - creatively, financially, spiritually, and physically. Always ask yourself, what can I improve? Who else can I talk to? Where else can I look?" Physically: Am I eating nutritious and well-balanced meals? Am I exercising enough to burn the calories I take in? Am I sleeping enough? Spiritually: What/who are my spiritual sources? When was the last time I thought about the things I’m grateful for? Financially: Do I limit my spending to what I have available? Am I saving and investing before making lifestyle purchases? Although it felt somewhat fragmented, I really enjoyed this book overall. 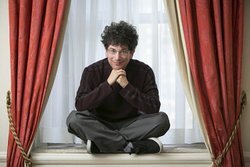 Toward the end of the book, Altucher invites the reader to imagine that everyone we meet here on Earth has something to teach us. He states that this exercise will give us a strong feeling of humility and that we will actually learn from each person with whom we interact. So, what have you learned from someone else today?